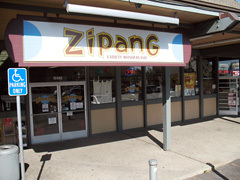 Ichiban Kan El Cerrito Store has changed the name to Zipang, and we will keep serving you as before! We are offering variety of life goods those are produced with Japanese spirits. Our selections are cute, nice looking, well-designed, easy to use, handy, useful, but still affordable. Moeser Lane and San Pablo Avenue. 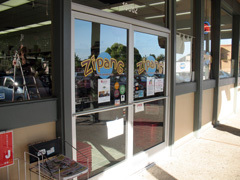 Call call 510-528-5210 to make sure we are open. Thank you. table ware, cook ware, office supplies, Origami paper, Japanese calligraphy brush, ink, and paper, toy, tote bags, gift wraps, photo frames, massage sticks for relaxing, cleaning supplies, carpentry tools, home maintenance goods, body/hair care product, sanitary supplies, bathroom goods, cosmetic supplies, and more goods that you use in everyday life. Japanese snacks (like Pocky) and basic groceries are also popular in our store.